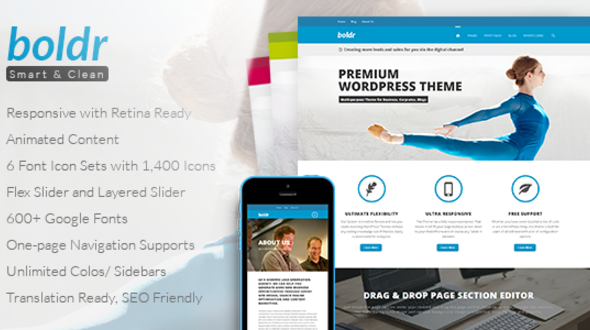 Boldr is the Clean Multi-Purpose Responsive WordPress theme built for corporate, business, software company or portfolio website. It comes with many cool features ex. 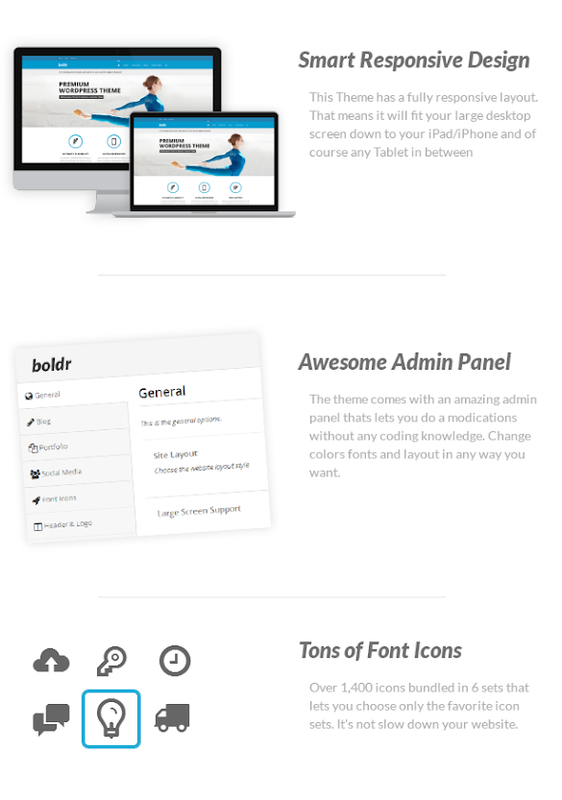 Express Slider included, 4 Header Options, Page Section Editor, 3 Main Menu Styles, font and background image. There are also 50+ advanced shortcodes with Shortcode Generator support. You can also use 600 + Installable Google Web Fonts. With a features of Boldr, you can use this theme for any purposes. Such as Business, Portfoli, Personal, Showcase, Shop or Restaurant etc. 9 Page templates including Maintenance Page Template.